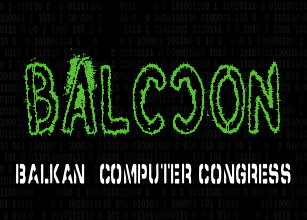 Balkan Computer Congress has been conceptualized as a three days gathering of the international hacker community in the organization of LUGoNS – Linux Users Group of Novi Sad. The first part of the program has been envisaged to be a set of presentations, workshops and lectures on the current topics regarding privacy, technology, software development, free software & socio-political issues. Hands-on projects and hacking have been planned for the second part of the program. We admire and tend to find a role model in the large scale conferences such as Chaos Communication Congress, organized by the Chaos Computer Club (CCC). Please submit a meaningful and complete description which will give us an insight on the key points of your presentation. We prefer quality over quantity, which will be evaluated based on the proposal you send us. Also, have in mind that other people might submit a talk on the same topic, so give us a reason to consider your presentation unique. Feel free to include some facts about yourself and the things that motivate you. It is not necessary for your talk to be the first of its kind, it may have been presented at other conferences, however please make sure that its content is up to date. BalCCon is an international congress, therefore your submissions should be in English. It is expected that we will have participants from all over the World, so it is important to have a common language. Please follow the instructions below. If you have any questions regarding your submission, feel free to contact us at cfp at balccon.org. This entry was posted in BalCCon 2k14 and tagged balccon, conference, hacker on February 16, 2014 by jelena.